Artillery Tools is the creator of the greatest pry bar tools system ever. Yes, we are that confident that there is no other demolition tool like this on the market. They are made of interchangeable blades, fulcrums, and handles that can be switched around to make any task on a demolition project easier. We offer six different sets that have been put together to meet the needs of various groups. This multi-purpose pry bar set is perfect for home-based demolition projects, from repairing a fence to replacing carpet and even removing your entire floor. 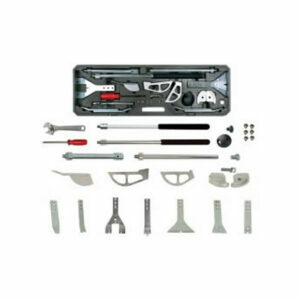 Save your back, time and labor costs by doing it yourself with this well put-together set. 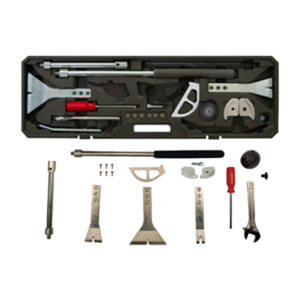 Come in under the bid by getting the work done quickly while saving your workers backs with this professional demolition set. 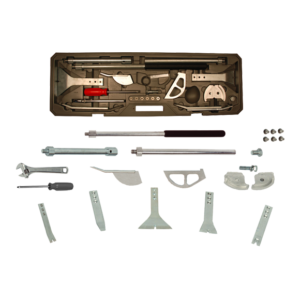 Additions for specific jobs can be added to this basic set. Removing old flooring is a breeze with the right blade, fulcrum, and handle in this flooring demolition set. The long handle and the ball grip make removing flooring more comfortable on your worker’s bodies. Two bars on the job at the same time with a total of five prying and scraping blades to choose from. 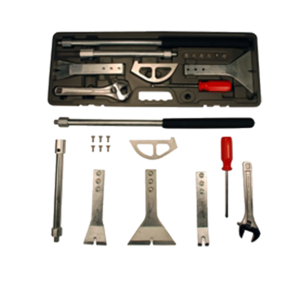 This makes the perfect multi-purpose pry bar set for contractors doing demolition projects. Save money, time and wear and tear on your body with this set. 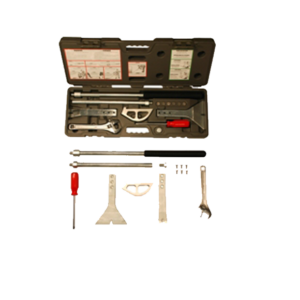 Demolition jobs including glued down flooring are made easier with this pry bar set. We’ve made this sets for the perfect angle for prying up flooring, including hardwood, underlayment, tile and linoleum. 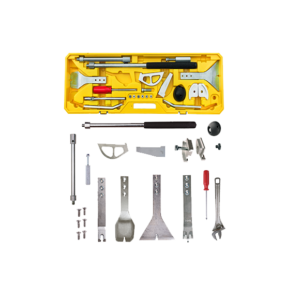 Whether your demolition project is tearing out sheetrock, lathe & plaster, or all kinds of flooring and siding, this pry bar set will help the project go faster and make it easier.